Here’s a quick question: how much do the bacteria in your gut weigh? The answer is three pounds, although the number can go up to more than four. That’s a lot of bacteria! Given this figure, it isn’t so surprising that your gut microbiome, the bacteria population in your intestines, can have a considerable impact on your health. Some experts have even found certain bacterial species, aptly termed psychobiotics, that can affect the workings of your brain. In your body, particular cells perform specific functions. Neurons, for example, make up the different parts of the nervous system, including your brain and nerves. You’d be surprised, therefore, to find that your intestines also contain neurons – about 100 million of them, in fact. That’s more neurons than even the spinal cord is made of. 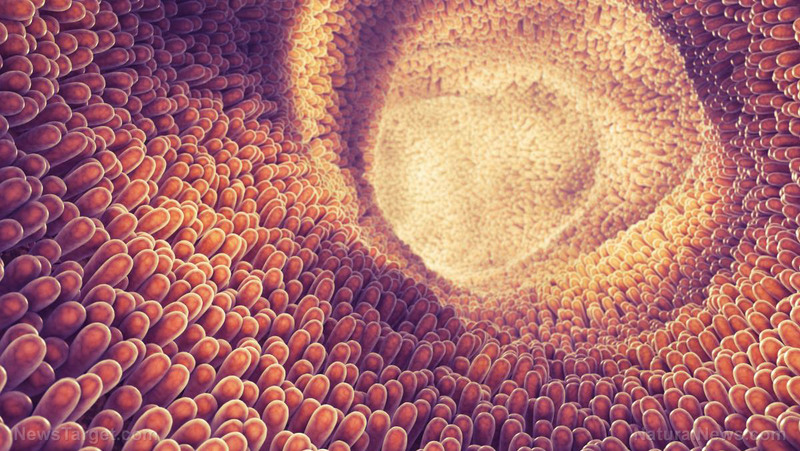 This collection of neurons in your gut enable you to “feel” the inside of your body. It has been called the “second brain” or the “backup brain.” Even more interesting are findings that certain bacterial species can hook up to this secondary brain and affect how you think, feel, and react to stress and your surroundings. Good bacteria help with digestion, breaking down toxins, and other functions that make them essential to good health and the prevention of conditions like obesity, diabetes, neurodegenerative disorders, and heart disease, among others. For the most part, psychobiotics are normal probiotics, but they perform more than the roles performed by normal gut bacteria. Their function is so significant that some experts see them as the new frontier in the treatment of mental illnesses like depression and anxiety. Some of their mechanisms include the following. Ted Dinan, professor of psychiatry at University College Cork, and his colleagues found that giving mice the probiotic Lactobacillus rhamnosus reduced signs of stress, anxiety, and depression in the animals. However, the same effect did not occur in mice whose vagus nerve was severed. The vagus nerve is a long cranial nerve that facilitates communication between the brain and the intestines. Neurotransmitters are chemicals that brain cells use to relay messages to and from each other. They are also used and produced in the secondary brain or the enteric nervous system (ENS), allowing it to regulate digestion without needing input from the brain. Gut microbiota has been found to synthesize important neurotransmitters like serotonin, gamma-Aminobutyric acid (GABA), dopamine, acetylcholine, and norepinephrine. As a matter of fact, over 90 percent of your serotonin and 50 percent of your dopamine are in your gut. Cortisol is aptly called the stress hormone. It can cause a wide variety of mental disorders ranging from brain fog and impaired concentration to mood swings, depression, and anxiety. In a study, participants took probiotics (Lactobacillus helveticus and Bifidobacterium longum) for a month. After the treatment, they showed markedly decreased cortisol levels, resulting in a better mood. Inflammation is a natural response as your body heals from diseases or attacks from pathogens. But when brain inflammation lingers for too long, you may end up with depression, as well as other inflammation-related conditions. Certain gut bacteria species have been identified as being able to regulate the action of pro-inflammatory cytokines. Too much of these chemicals in the body has been linked to memory loss, depression, cognitive disorders, and mood disorders. Although this effect has been observed only in lab animals and not in humans, gut bacteria have been shown to increase the levels of brain-derived neurotrophic factor (BDNF). This chemical is essential to the development and function of neurons. It plays a role in glucose management and has antidepressant properties. It also helps in preventing Huntington’s disease and Alzheimer’s disease. Lactobacilli and Bifidobacteria bacteria have been found to have antioxidant effects. They help prevent oxidative damage brought about by the action of oxygen-carrying free radicals. The brain, being one of the biggest users of your oxygen supply, is especially vulnerable to the harmful effects of free radicals. Moreover, high populations of good bacteria help control the growth of bad bacteria, which release toxins called lipopolysaccharides (LPS). Aside from contributing to lowered levels of dopamine and serotonin, LPS can also cause inflammations that have a negative impact on your brain. Get to know your brain and how you can take better care of it at Brain.news.